It would be hard to top the beauty of this late October afternoon, especially if you're having a tree-planting ceremony! 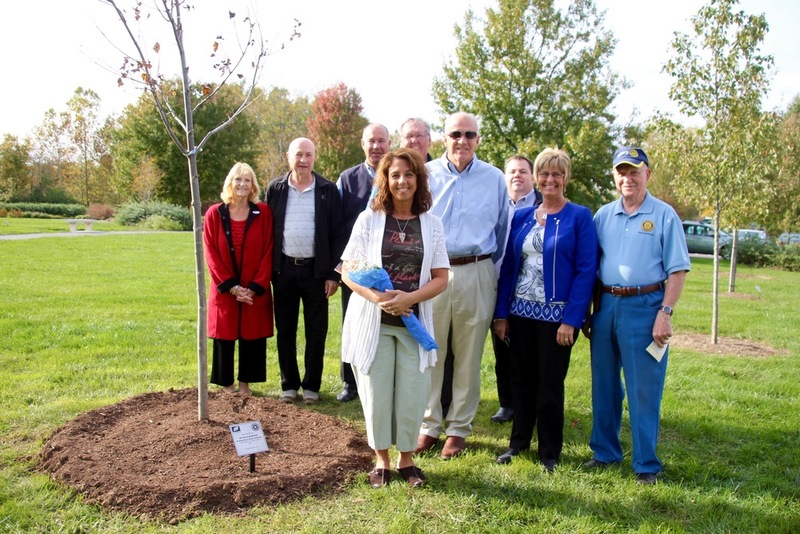 The Plainfield Rotary Club is a tremendous supporter of our schools, students and teachers, and as part of the Teacher of the Year program, they honor each year's honoree with a tree and plaque at Friendship Gardens. This afternoon, at their invitation, we honored Michelle (Mama Burr) Burress, who was not only selected as the 2017 Plainfield Teacher of the Year, but was also named one of the Top Ten in Indiana! Once again we get to say, congratulations, Mama Burr!